The Hendricks County Convention and Visitors Bureau posed a question to its Facebook followers — “What’s your favorite sandwich in Hendricks County?” After receiving many responses (you can see them all by clicking here), I decided to divide one post I had planned to write into multiple posts beginning with Brownsburg, Ind. Let me tell you, I now have two new favorite sandwiches. One of them was picked by a Facebook fan and the other was recommended to me by a longtime Brownsburg resident. I also decided to go to two restaurants that I’d never been to before. Think of me as your official sandwich taster. I’m ready for the job. Wait- is there a job for that? If so, sign me up! Let’s start with BBQ. How can you go wrong with BBQ? I knew this sandwich would be good as soon as I walked in and smelled all kinds of smoky goodness. 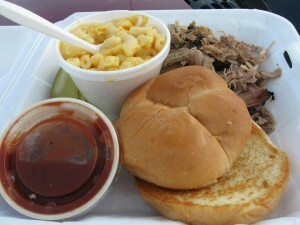 Where: Pit Stop BBQ, 932 E. Main St., Brownsburg; Phone: (317) 858-8370. Sandwich: Harold&apos;s Pulled Pork sandwich, served with a side (such as potato salad, baked beans, cole slaw or macaroni and cheese). Recommended by: A longtime Brownsburg resident and BBQ fan. Tip: Split this with your favorite BBQ eating person. Bonus Tip: I ordered my sandwich to go (because I was running an errand in Brownsburg), and this is a great carry-out option, as I only waited a few minutes for my order. Also, my order was nicely packaged and carried well. I&apos;ve lived in Georgia and Kentucky, and I love a good pulled pork BBQ sandwich. Pit Stop BBQ takes barbecue seriously and delivers with a pile of tender and juicy pork, served on the side, with pickles, a grilled bun and sauce on the side. There’s plenty to serve two people, and I love that everything is served on the side. It’s fun because I could build my own sandwich and put on just the right amount of sauce or dip the sandwich into sauce. If you enjoy BBQ, don’t miss out on this tasty sandwich. I’m looking forward to a return visit to Pit Stop BBQ to try a few other sandwiches there, like the Texas Beef Brisket sandwich. Yum! 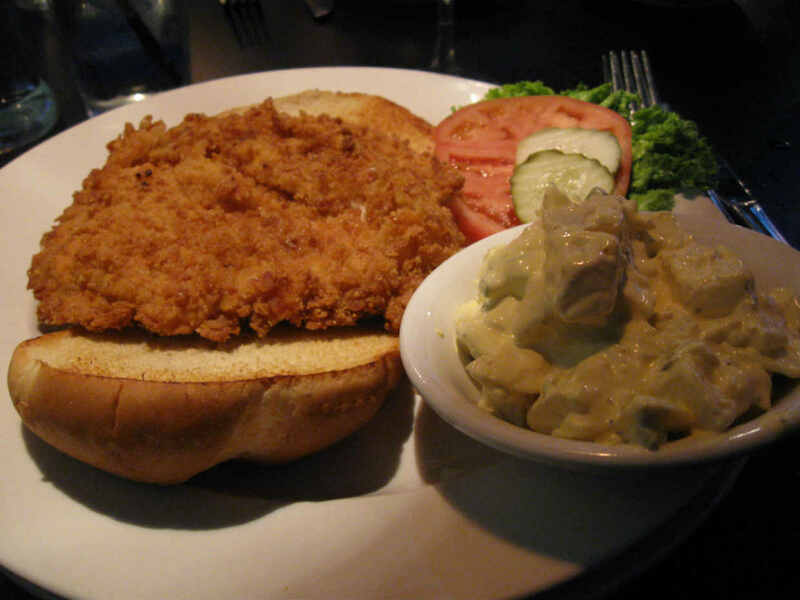 Next up: Talkin’ Tenderloins The breaded tenderloin sandwich may be Indiana’s most famous sandwich and was the most common response on Facebook. Certainly, everyone has an opinion on what makes a top tenderloin sandwich. I&apos;ve seen tenderloin sandwiches served up a variety of ways. 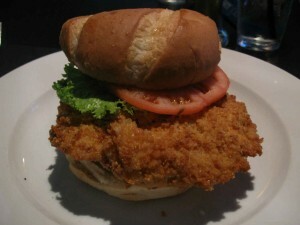 But I was eager to try the breaded tenderloin sandwich recommended by HCCVB Facebook fan, J.D. Where: Dawson’s Too, Sticks and Stones, 773 E. Main St., Brownsburg; Phone (317) 858-8400. Sandwich: Hand-Breaded Tenderloin sandwich, served with a side (such as coleslaw, fries, onion rings). Recommended by: HCCVB Facebook fan, J.D. Tip: Split this mighty sandwich with someone you know who loves to talk Indiana tenderloin sandwiches. Bonus Tip: Looking for a new place to watch a football game? Dawson’s Too (bar side) is filled with flat screen TV’s. I really enjoyed this sandwich, which is thicker than most tenderloin sandwiches I’ve had -- more of a pork chop-style. This made-to-order sandwich had just the right amount of crispiness. The portion was large and perfect for splitting. It’s served with lettuce, tomato and pickle and I added a dollop of yellow mustard (yep, I know there are many who prefer mayo on their tenderloin sandwich, but I’m firmly in the mustard camp). This is a satisfying sandwich, which I enjoyed with a beer. I had a fun time with my dining companions watching football on the bar side of Dawson’s Too. Thanks J.D. for this recommendation. I’ll definitely be back to watch another game and try another of Dawson’s Too sandwiches like the Jamaican Jerk Tuna sandwich. So which sandwich did I like better? Wait, can’t I have them both? What about you? What would you pick? If you have any more recommendations for your favorites in Avon, Danville, Plainfield or elsewhere in Hendricks County? Please drop me a line in the comments section below, or you can leave a comment on the HCCVB Facebook page. Stay tuned - I’ll be back to share a few more Hendricks County sandwiches with you. I’m up for the challenge to try out some of Hendricks County’s best sandwiches.